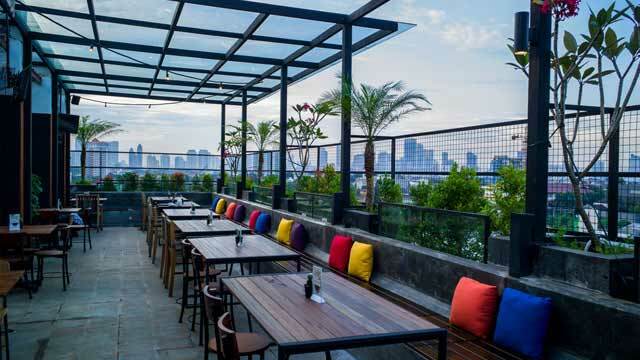 A complete guide to the 12 best rooftop bars in Jakarta in 2019. 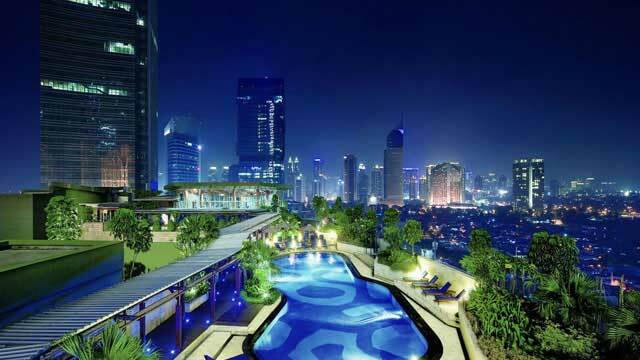 Find all the best Jakarta rooftops with all info you need. Opening hours, dress code, pictures, maps and much more for every terrace. 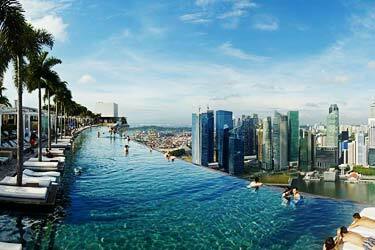 This is a perfect rooftop city. 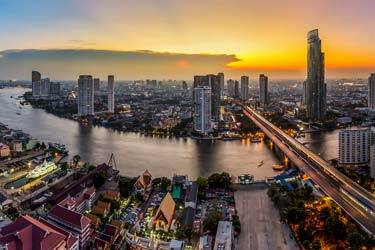 Many skyscrapers, large city center, luxurious hotels and a warm climate all year round. 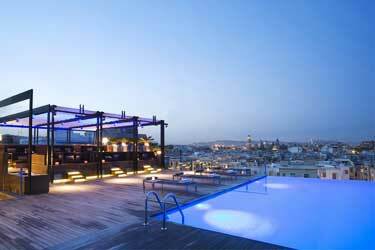 That’s why many comes here to stay at nice hotels and relax with a view at any of the roof terraces available here. 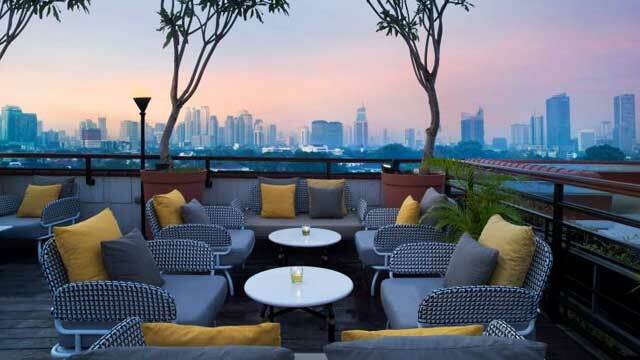 So, which is the best rooftop bar in Jakarta? 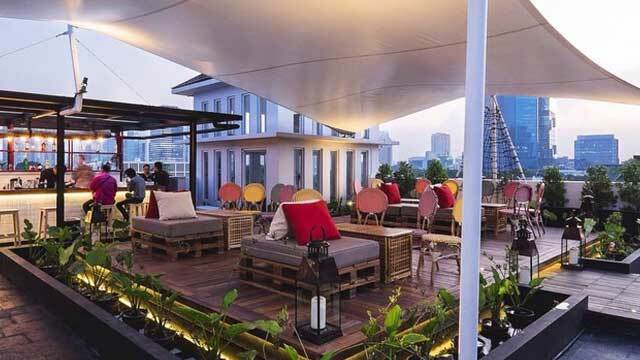 Scroll down and find the Jakarta rooftop bar best suited for you. Or use the Jakarta rooftop map in the bottom right corner. A rooftop bar and restaurant in the heart of Jakarta, situated on 56th floor of the BCA Tower, about 230 metres up in the air. Here you get an absolutely stunning view of the city skyline and the surrounding areas. Absolutely amazing. SKYE comes with a stylish and spacious restaurant setting and several different lounge areas, both indoors and outdoors, where the terrace is completed with an amazing rooftop infinity pool. Enjoy fantastic international food and tasty drinks in a luxurious ambience, loungy and romantic and later at night / weekends really vibrant. 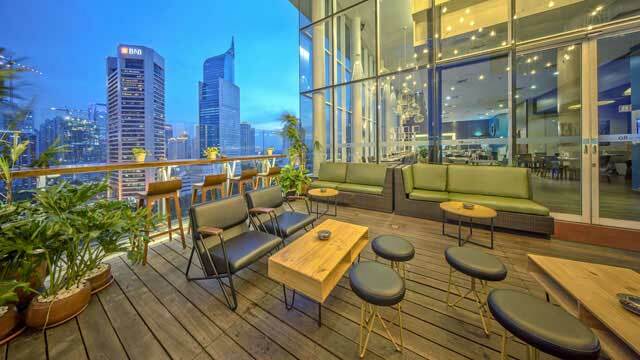 A Jakarta rooftop bar and a restaurant situated on the 49th floor of the Plaza Office Tower, right in the heart of the city, and this luxurious and contemporary resto-bar & lounge offers quite magical views over the city skyline. Maybe not as supreme as the close by SKYE rooftop, but almost. 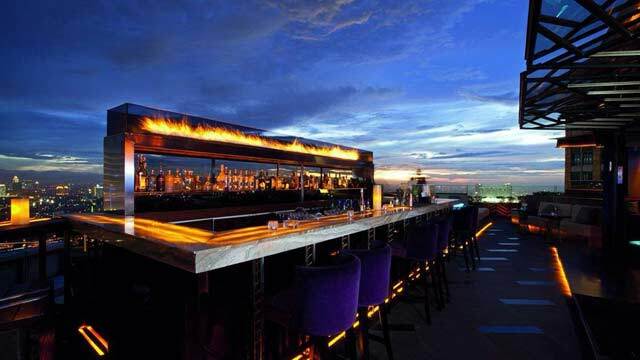 With elevated front row seats to a magnificent sunset, you can visit this top rooftop for either full dinner in the reastaurant or more relaxing bites and fantastic cocktails in the lounge. We would mostly recommend the later. Elegant and stylish in decor, chill but trendy in ambience. 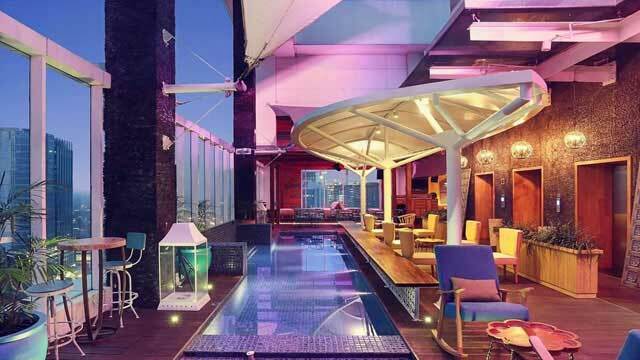 Located on the 9th floor of Kosenda Hotel, which is a bit of an oasis in central Jakarta, just as the Awan Lounge. The rooftop terrace is quite small but very cosy, lush and green, feeling like a rooftop garden. And while not super high in alltitude, you still get awesome views of Jakarta's skyline. Enjoy fresh and delicious cocktails and mocktails, along with street food style small bites in a soft and intimate ambience. 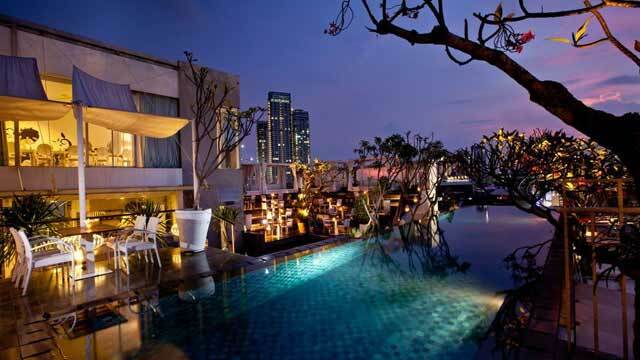 Bart (Bar at the Rooftop) is located on the 7th floor of the very nice and art inspired hotel Artotel Thamrin. Given the colorful graffiti painting on the exterior of the hotel, the Bart rooftop is surprisingly low-key and sophisticated in decor, with mostly black and white on the lounge sofas and bar stools. From up here you get a superb view along the city's skyline. A bit less crowded and calmer rooftop then alot of the other ones also located in the central part of the city. Perfect for just relaxing with some friends. 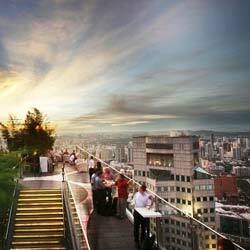 Should you visit the Por Que No rooftop bar? Well, to answer in the motto of the bar: why not!? Especially if you are in central Jakarta and in the mood for some Spanish tastes and good views and vibes. Here you get really cool views amid all the city sky scrapers, but even more so, a genuine Spanish feel rigth in the Indonesian capital. Both restaurant and bar, the rooftop serves a large selection of authentic tapas, along with both red and white wine sangria, all in a relaxed, quirky and casual ambience. A rooftop bar, pool lounge and restaurant, located on the 17th floor of the superb five star Hotel Indonesia Kempinski Jakarta, right in the heart of the city. Open daily from early morning, this is the perfect oasis for relaxation high above the bustle of the city. This lush roof garden comes with 360-degree panoramic views and serves a large variety of refreshing cocktails or fresh juices along with local dishes and more poolside snacks. Fantastic rooftop pool lounge bt day, romantic bistro dinner by night. A relaxed and modern (you guessed it) rooftop rum bar, located on top of the trendy hotel Mercure Jakarta Simatupang in South Jakarta. The Kurumba rooftop terrace comes with a very modern and warm Caribbean design, playful in colors and patterns and with a variety of lounge seatings and stunning panoramic city views. Along with a large and great selection of rum-based cocktails you can also enjoy a a good selection of beer and wines and a food menu ranging from Italian pizzas to Mexican tacos. Youthful and relaxed in ambience, highlighted by frequent visits of live bands and DJs. 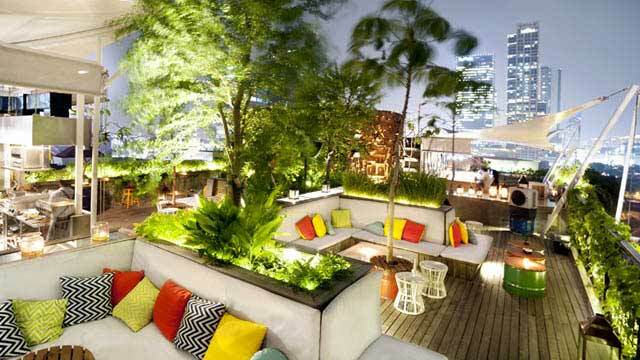 A lush, garden-like rooftop bar and restaurant, located on top of the chic boutique hotel Kemang Icon in South Jakarta. The roof terrace is equipped with a luxurious rooftop pool, lounge chairs, cabanas and a lot of dining areas, creating somewhat of a Bali-feel in the middle of the city. Stay at the hotel to enjoy the fantastic rooftop infinity pool, or visit at night for a romantic setting and servings of signature cocktails along with dining options ranging from pastas to juicy dishes fresh of the grill. A contemporary rooftop lounge and restaurant, perched on top of the All Seasons Jakarta Thamrinat, located in Central Jakarta, right off the Ciliwung River. Open for breakfast, lunch and dinner, this all day rooftop comes in a very modern setting, with both a stylish indoor lounge and a green and cosy terrace, complete with bar stool seatings right by the edge, great for taking in the fantastic views of the Jakarta skyline. 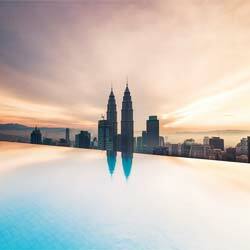 Enjoy good international cocktails in an unpretentious and relaxed all day lounge vibe. 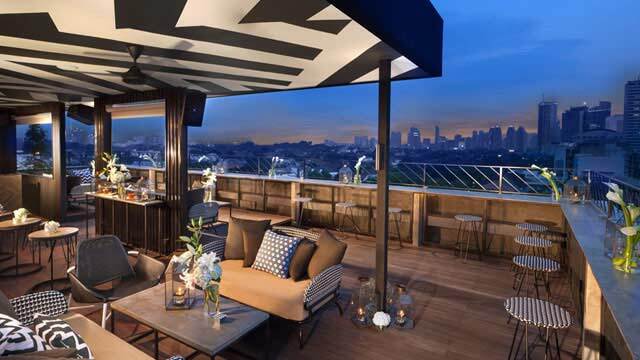 Situated on the roof of the classy The Hermitage Hotel, right in the heart of the city, La Vue is a very open and airy terrace that comes with a spectacular 360-degree view over Jakarta, a view that is really hard to beat. The setting is classic but luxurious, with some lounge sofas and a long stretch of front row bar seats right by the edge. With usually a calm and relaxing ambience and a great service, La Vue is a perfect Jakarta rooftop bar for some nightly chill-out cocktails. Come around sunset and you are in for a real treat. 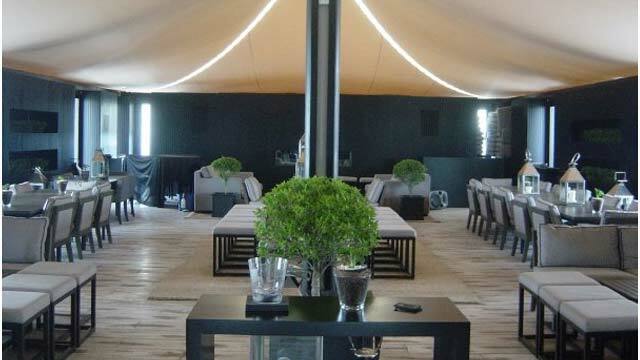 Sleek and stylish rooftop bar, with main lounge inside a large white tent, but also al fresco seating lining outside the tent. Situated on the 5th floor of the Papillion building in the trendy Kemang district in South Jakarta. 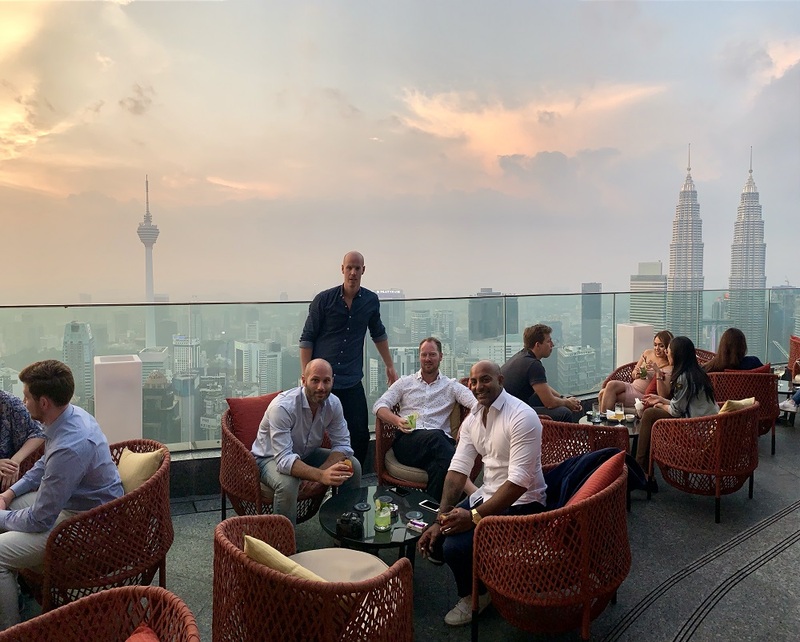 Located above SHY restaurant, serving fine Japanese cuisine, and while the rooftop also serves some smaller bites it is more a place to visit for drinks and good atmosphere after dinner. Enjoy a wide selection of wine and cocktails, along with live music several nights a week and a trendy, yet fun and casual ambience. 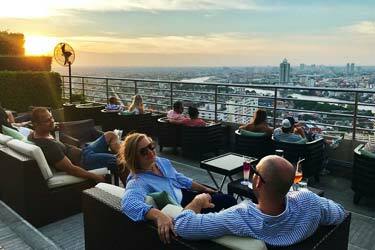 A casual, all-day Jakarta rooftop bar located on top of the Favehotel, situated in the Golden Triangle of South Jakarta. Here you can wine and dine in a harmonious and relaxed atmosphere, from early morning until late at night, all while catching a magical view of the city skyline. The rooftop bar offers a large and mixed food menu and a drink menu that is equally large, with both classic and signature cocktails, wines, spirits and a large selection of beer. All served at very reasonable prices. Discover the biggest collection of Jakarta activities, guided tours and skip-the-line tickets. Anything you want you'll find right here. 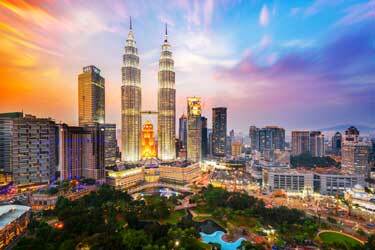 The city belongs to the tropical climate zone, which gives an average temperature of 26 degrees celsius. This means that the rooftop bars in Jakarta can stay open all year around. And the city is teeming with some stunning terraces. 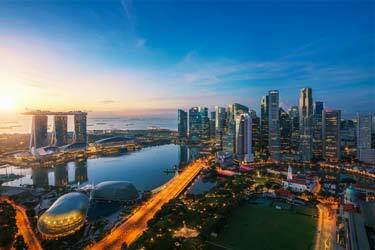 Like most big cities in Asia, there are lots of tall skyscrapers resulting in magnificent views from the scrapers rooftops. 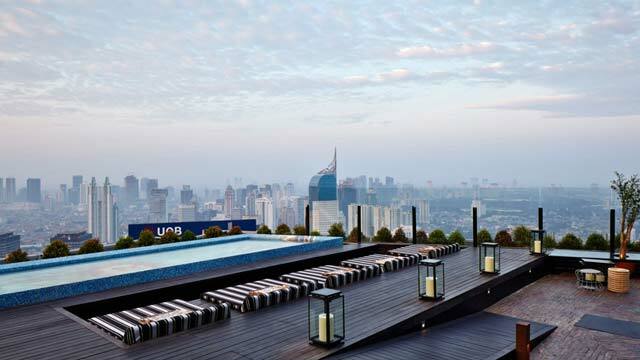 At some rooftop bars in Jakarta you get some of the coolest sky views in the world. Hopefully this guide helps you with the important question of "which are the best rooftops in Jakarta?". Jakarta is Indonesia's capital with a population of about 9.5 million in the latest measurements. 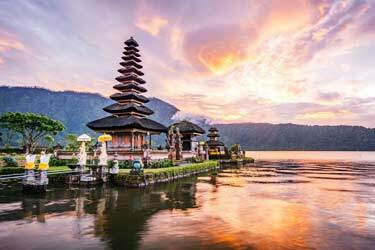 The city is situated on the island of Java, which is located in Jakarta Bay, where the river Ciliwung meets the sea. Jakarta is divided into five districts that are controlled separately by its own mayor.